The Palm Beach mansion of Robert Matthews, the embattled developer of the failed Palm House Hotel, was taken over by its lender after the property failed to receive any qualified offers in an auction. 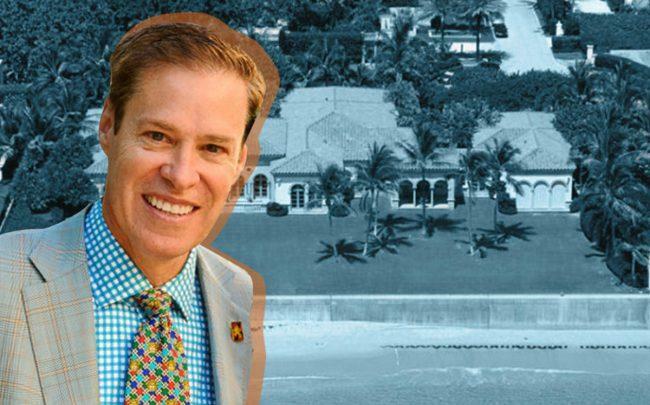 The house at 101 Casa Bendita will be acquired by DB Private Wealth Mortgage Ltd., an affiliate of Deutsche Bank, which was the primary mortgage lender to the property, according to the Palm Beach Daily News. The home has six bedrooms and 15,849 square feet. The deal means there will be no exchanging of cash since DB Private Wealth Mortgage had a foreclosure judgment for the property for $26.25 million. In total, the mortgage company claims it was owed about $31 million from Matthews and his wife Mia, the Palm Beach Daily News reported. DB Private Wealth Mortgage will try to sell the property to recoup the $31 million, according to the publication. The deal came about after a scheduled auction to sell the property fell through. Bidders were required to make bids of at least $31 million to qualify, but no bid reached that level, the Daily News reported. Robert Matthews faces fraud charges related to the still unfinished Palm House Hotel, a condo-hotel project that solicited EB-5 investment. EB-5 investors from China and Iran have sued, alleging the developer defrauded them out of their $500,000 investment and they were unable to get their green cards.